Liposuction is an excellent procedure for men and women with localized back fat accumulation who have been unable to reduce this area through diet and targeted back and latissimus dorsi or “lat” exercises. In fact, many of Dr. David Amron’s patients are pleased to learn that the back is one of the best areas for liposuction! Women who desire liposuction of the back are looking to correct the unsightly flab and fat bulging from their back that contributes to an appearance of a “bra roll”. Men have a genetic predisposition for fat deposits that develop on the upper back and are interested in obtaining a more muscular looking back with liposuction. Who is a Good Candidate for Back Liposuction? Dr. David Amron advises his patients that fatty deposits (bulges) on the back respond well to liposuction and may be performed in conjunction with liposuction of the abdomen and love handles to ensure optimal results. How is Liposuction of the Back Performed? 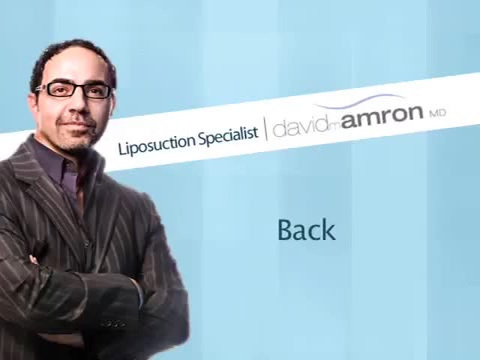 Dr. David Amron – Liposuction of the Back. Dr. David Amron explains that the skin on the back is thick and prone to drooping so his approach is perform liposuction in the mid and upper back as a unit. This is one area of the body where the spatula cannula is used to scrape from underneath the dermis to get maximum skin tightening and lifting. The degree of skin tightening achieved is fortunate, because there is no back lift or back tuck as there is with the abdomen (tummy tuck). 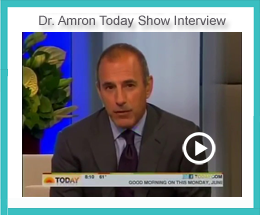 Click here to learn more about Dr. David Amron’s Precise Liposuction Technique and Philosophy. What Results Can Be Expected from Liposuction? Click here to see Dr. Amron’s exceptional results by viewing more before and after photos of actual patients. How Much Does Liposuction of the Back Cost? At Expert Liposuction, the fees are based on Dr. Amron’s surgical fee and the operating room fee determined by the length of the specific liposuction procedure(s). 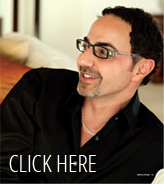 Dr. David Amron is pleased to offer patients a consultation. The first step to the body or shape you desire is to schedule a consultation to discuss your aesthetic goals and if liposuction of the back will achieve these goals.